Worldwide DJ phenomenon Martin Garrix is known for his innumerous accomplishments in the wonderful world of EDM, and he has truly established himself as an extraordinary legend! The remarkable Martin Garrix has another accomplishment to add onto his endless list of achievements and this time it doesn’t involve music! The outstanding Martin Garrix can now check off “climbing Mount Kilimanjaro” from his bucket list as the stupendous DJ just recently reached the top of the mountain. 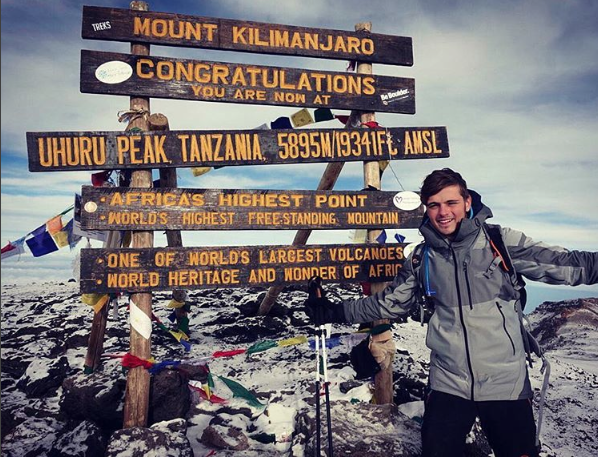 Check out more photos below of Martin Garrix’s sensational accomplishment of trekking to the top of Mount Kilimanjaro! Here at Alexisjoyvipaccess.com, I’d like to wish a big congratulations to Martin Garrix on this exceptional accomplishment! Previous Article: Travis Mills Has Been Hinting At New Music And He Just Released A New Masterpiece! Listen To “Don’t Need Much” Here! Next Article: Oliver Heldens’ Collaboration With Tiesto And Natalie La Rose Is Remarkable! Take A Listen To “The Right Song” Here!